The disaster restoration services that we provide include fire damage restoration, mold remediation, water damage restoration, reconstruction services, hoarding cleaning, and odor removal services among others. 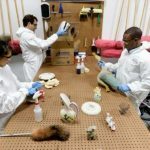 We will quickly send a team of trained technicians to restore your property using the best equipment and restoration techniques of the industry. Rainbow International is proud to be part of the local community and we have been part of the restoration effort for several major local projects including water mitigation for Village on Memorial townhouses in Houston and Pearson Elementary in Mission, TX. You can give us a call 24 hours a day at (956) 622-7349 for emergency restoration services in South Padre Island, Brownsville, and Port Isabel, TX. 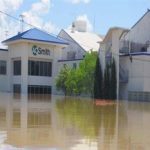 Water damage is a common occurrence that can have several different causes including leaks, flooding, or high moisture levels and the resulting damage can become permanent if it is not addressed right away. Rainbow International provides water damage restoration services to homes and businesses in South Padre Island, TX to remove the excess water or moisture and repair the damage. 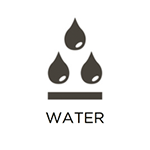 We also work with local insurance companies to help file your water damage insurance claims. Smoke Damage Restoration by Rainbow International. Few disasters are more devastating to a home than fires as they cause significant damage and can leave your home in an unstable condition. There are often corrosive byproducts left behind in the aftermath of a fire that can cause permanent damage and soot from the smoke can affect clothing, upholstery, and drywall among other surfaces. Rainbow International provides fire and smoke damage restoration services to help restore damage caused by smoke and fire to homes and businesses in South Padre Island. 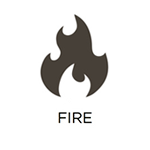 We can completely remove soot and smoke damage as well as the odor left by the smoke. Several different sources can contribute to a strong odor in a home or building such as smoke, mold, water damage, or pets and sometimes it can be tricky to remove odors completely. Rainbow International provides deodorization services to remove strong odors from homes and businesses in South Padre Island. Our methods of odor control include absorption technology, Nano carbon technology, hydroxyl technology, and ozone treatment and we also make sure to remove the source of the odor to prevent it from returning. Sometimes when a disaster such as a fire or flood strikes a home, the damage extends beyond the structural elements of the home itself to affect your personal belongings. 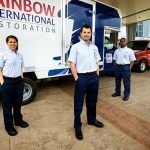 Rainbow International provides content cleaning and processing storage services to safely transport, clean, and store your contents and personal items that have been damaged in a disaster. We carefully process each item that we pack up to provide a complete and detailed inventory and take them to our secured facility for cleaning and restoration. Once you are ready to have your contents back, we will deliver them to your home. 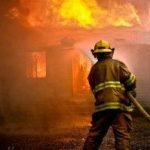 Certain disasters such as fires, floods, or major accidents can leave a home or building exposed or unstable and when this happens, it is important to secure the building immediately to protect it from further damage. Rainbow International provides emergency board up services to help secure heavily damaged homes or buildings in South Padre Island. Our technicians will board up any openings, doors, and windows to stabilize the building and protect it against the weather and vandalism as a more permanent solution for the restoration of your home is worked out. Heavy storms, high winds, and fires all have the potential to cause significant damage to the roof of your home and if this occurs, covering and securing the roof should be your top priority. Rainbow International provides roof tarping services to temporarily cover and secure a heavily damaged roof and protect your home from further damage from the weather or vandalism. 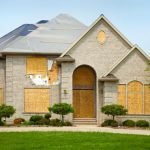 If a disaster such as a fire, storm, or accident causes extensive structural damage to a home, it may require reconstruction services to be properly restored. Rainbow International provides reconstruction services to rebuild heavily damaged homes or buildings in South Padre Island, TX. 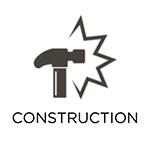 Our technicians can handle any size reconstruction job in commercial and residential settings and will completely restore your home or building in compliance with local codes. Few sights are more disturbing to a homeowner than mold and if you do find mold growing in your home, it is important to eliminate it right away before it causes property damage or leads to adverse health conditions. Rainbow International provides mold removal services for spaces that are 10 feet by 10 feet or less in South Padre Island. 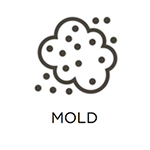 We can help remove the mold and repair the moisture source that is causing the mold to grow. 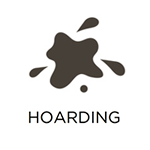 People that struggle with hoarding issues collect items such as paper, trash, personal items, and sometimes animals and when the hoard grows too large, it can create a dangerous situation in the house. Rainbow International offers hoarding cleanup services to help clean out and restore the homes of hoarders in South Padre Island. 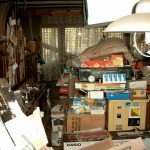 Our technicians approach each hoarder project delicately and we will completely remove the hoard as well as sanitize the area. You may not notice your carpeting when you walk into your home or office, but your visitors will, especially if it is not in good shape. Carpeting in commercial and residential settings can become dirty and worn out quickly because foot traffic causes a consistent build up of dirt and debris in the fibers. 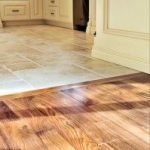 If the debris buildup is not effectively removed, it will cause the carpeting to look discolored and stained, and eventually lead to deterioration. Having your carpet professionally cleaned on a regular basis will help preserve its look and extend its life. 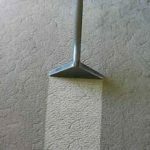 Rainbow International provides professional carpet cleaning services for homes and businesses in South Padre Island, Brownsville, and Port Isabel, TX. We will remove embedded debris and stains from carpeting and area rugs using the most advanced equipment and methodologies available.